Friday was Arlington County's Real Estate Showcase, sponsored primarily by the Arlington County Economic Development Department. These types of conferences are presented across the region (DC's is in the beginning of December) and are a great way to get a through overview of the state of real estate development in markets/submarkets across the metropolitan area. This presentation was virtual, in the Dome Theater at the Artisphere in Rosslyn, and the theater was packed. I had never been to Arlington County's, and it was truly eye-opening, even if my joke vis-a-vis DC is all Arlington County has to do is pick up the phone, which of course isn't exactly true. 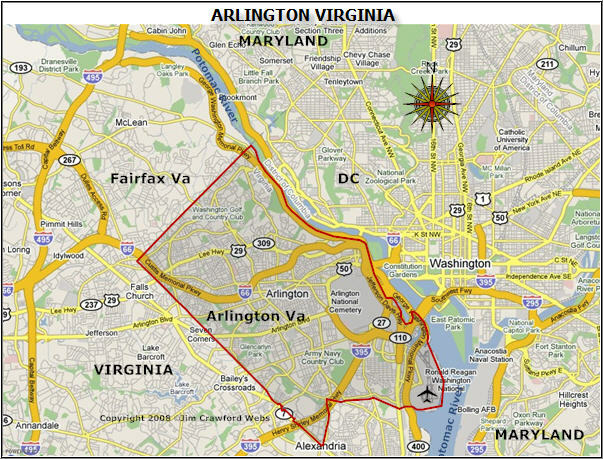 Arlington has multiple submarkets: the Pentagon/Pentagon City/Crystal City; Shirlington; the (re)developing Columbia Pike; Rosslyn; Courthouse-Clarendon; and Virginia Square-Ballston. Potomac Yard is mostly located in Alexandria, although a bit is in Arlington, and the presentation treated that section more as an extension of Crystal City. 1. 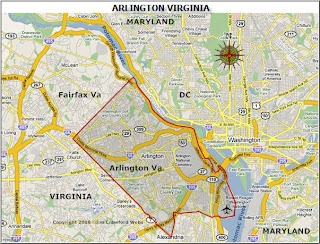 Arlington's five key competitive economic advantages in the real estate development landscape in the metropolitan area are that it is (1) just across the river from DC; (2) has cheaper rents than Downtown and the city's office districts; (3) is the headquarters of the Department of Defense; (4) has great transit service and freeway access from I-95 and I-66; and (5) doesn't have the same level of "urban" issues (crime, poverty, etc.) that DC does. One of the developers referred to their proposed development in Rosslyn as "the most convenient extension of the center city. 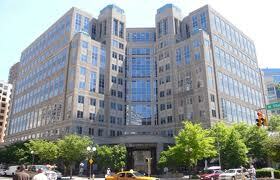 The new business center of the Nation's Capital." 2. However, as the Silver Line subway comes online, Arlington is losing its edge as a provider of lower cost commercial space, especially for federal agencies, that is transit accessible and proximate to DC. Office developments in Fairfax County at Silver Line transit stations are offering lower cost space than is available in Arlington. I don't remember the exact numbers, but GSA can lease space up to a certain size and amount, for $38/square foot in Northern Virginia, without special approval. See "Rent cap alters science foundation's hunt for space" from the Washington Business Journal. To pay higher rates, they need specific approval for the projects, called prospectuses, from Congress. Given the state of Congress these days, and the threat of the fiscal cliff, it's harder and/or takes a lot longer to get these kinds of approvals. "Prospectus leases are those that are worth more than $2.7 million per year and require congressional approval." Washington Post graphic of the Silver Line routing. Still, the addition of the Fairfax County into the mix as a result of the Silver Line adds more pressure to DC for competition for locating agencies in the metropolitan area, and on Prince George's County, which has a hard time making a case for retaining or gaining agencies (see "Md. leaders irate over Treasury move to relocate 450 workers from Prince George's" from the Washington Business Journal). 3. Arlington County's focus on walkability, quality of life and placemaking is a key element that attracts residents to the County, but this focus is proving equally important to attracting corporations and government institutions to the County and to the Rosslyn-Ballston corridor specifically. 4. 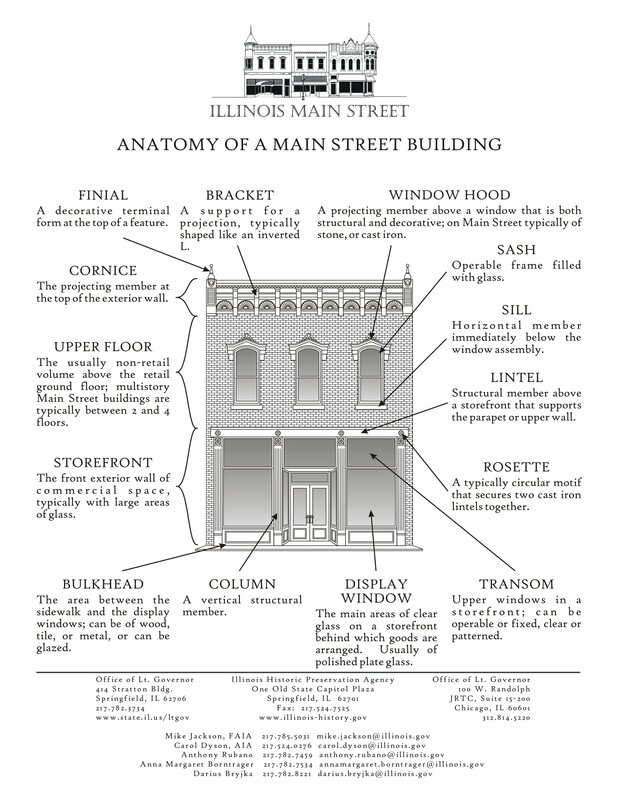 Similarly, placemaking initiatives elsewhere in the county, particularly in Crystal City, are designed to bring similar qualities to those places, in ways that further the competitiveness of those submarkets as a place to conduct exchange (you can call it "commerce") of all sorts, be it business, research, education, sales, etc. Right: The National Science Foundation moved to Arlington from DC in the early 1990s. Ultimately, this proved to be one of the most important agency acquisitions for Arlington County, ultimately positioning the Ballston area, along with Virginia Square and the growing GMU campus there, as a key science research cluster. Unlike its current location, the previous location on Constitution Avenue at the edge of Foggy Bottom had limited opportunity to serve as an anchoring asset for the creation of a wider ranging science research innovation cluster, which is something DC officials should learn from. 5. The County brands the Virginia Square-Ballston submarket as its research-technology hub, and the National Science Foundation, the Defense Advanced Research Projects Agency (DARPA), and the Virginia Tech Research Institute are all based in this corridor, with George Mason University's Arlington campus bookending the eastern end, and VT at the western end. 6. 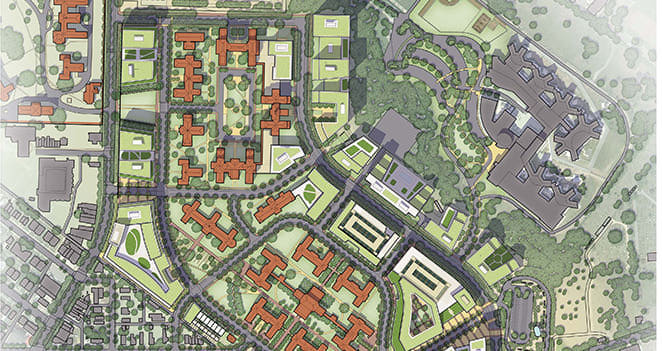 So this area has become a kind of "research park," but unlike the bucolic, suburban research parks and corporate campuses that we usually think of, those cloistered places that are internally focused and disconnected from the outside world, this is a multi-site linear "research park" corridor that is tightly integrated into the urban fabric. The area is marketed as having the highest concentration of scientific research agencies in the country. Presenters commented that many organizations want to locate in the Wilson Boulevard corridor, particularly from Clarendon to Ballston, because it is the kind of environment that attracts the kinds of employees they want to hire and retain--young, technically trained, people who want transit access, etc. For example, The Center for Naval Analyses, a research-think tank focused on the Navy, is moving from Alexandria for a number of reasons, one to reposition--they think that they could be overshadowed in Alexandria by BRAC related consolidation at the Mark Center ("DOD's Mark Center complex in Alexandria complete" from the Washington Business Journal), and they don't want to have their employees deal with the traffic-related hassles that have resulted, plus they can connect with other similar organizations by locating in the research hub in Arlington County, rather than being more alone and aloof out in Alexandrdia. 7. Apartment sizes in multiunit housing continue to shrink at least in new buildings under development in Arlington right now. This means more residents fit into buildings, adding population. 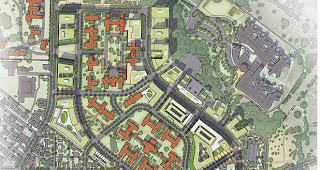 To support the smaller sizes, developers provide high quality finishes inside the units, and a greater focus on providing "community spaces" and other high quality building-site amenities, while endeavoring to locate in sumarkets where high quality civic and commercial district amenities are already in place, preferably with easy transit access. 8. Relatedly, while it probably isn't as purposively planned as I'd recommend (along the lines expressed in this blog entry "The layering effect: how the building blocks of an integrated public realm set the stage for community building and Silver Spring, Maryland as an example"), Arlington does plan and extend its public and civic realm in concert with the real estate development activities in the county's submarkets. It also puts into perspective the creation of the Crystal City Business Improvement District organization and that organization's wide-ranging program of various placemaking initiatives, from Friday night concerts to bike sharing stations, farmers markets, and other activities, focused on making Crystal City a vital, interesting, happening place, rather than just an office ghetto. I mean, volleyball!? How cool is that? I used to think that's hopeless, how can you build community in Crystal City?, but it's all relative. It might not be Clarendon or U Street, but it's now a lot more vital than it was as a Navy-dominated office complex that closed up around 4:30pm. 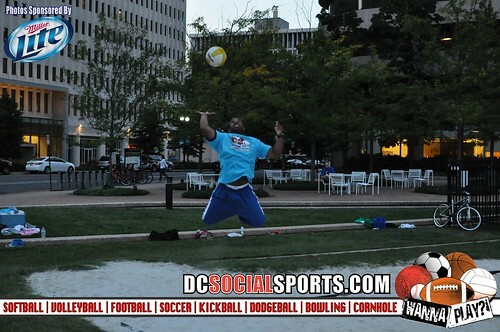 (See "Crystal City to Host Sand Volleyball Games" from Arlington Now.) Plus the addition of Long Bridge Park is another civic asset, along with subway, bus, and railroad service, access to the airport, I-95, and the regional bikeway network, plus the retail assets of Pentagon City. 9. And this puts into a longer term perspective the County's creation of Artisphere, the multifaceted and multidisciplinary arts center in Rosslyn. We learned at Friday's presentation is that Artisphere is profitable now after its second year (2012 Year End Report), even if it wasn't after its first ("Artisphere seeks to regroup after flat first year" from the Post). But thinking about the creation of this asset more expansively, as an element of the rebranding, repositioning, and long term re-creation of Rosslyn from more of an office ghetto to a walkable commercial and residential district, clearly Artisphere is meeting the County's objectives and goals. Arlington is crazy like a fox. 10. And yes, Arlington is particularly concerned about the impact of federal government downsizing on the commercial real estate market in the Washington metropolitan area. Now, it means shorter term leases, less leasing activity by contractors, and delays in executing lease agreements. And a big slowdown in federal agency leasing activity more generally. At the same time, contractors probably want to be closer to the action, to stay "top of mind" with their clients, which will lead to some incoming tenant activity that might not otherwise have occurred. It's better to be located in the central places in the region, rather than in the comparatively poorly located places. - lots of nice amenities in buildings, from integrated day care to fitness centers, and apartment buildings have cyber cafes and wifi throughout buildings, with grilling stations outdoors along with fire pits and other cool stuff. - the Equity Residential project that I have written about before ("A new Equity Residential apartment building project in Arlington makes interesting contributions to debates on how to construct mixed use projects and the future of transit oriented development and infill") is now called Mosaic at Clarendon and the "community benefits" package includes new traffic signals, upgraded bus shelters, and undergrounding of electric utility infrastructure proximate to the site. As always, a good summary. The key point is the escalating real estate market is pushing the GSA out. Did they talk about vacancy rates -- because there are entire buildings now empty. I don't know if the incentives are in place to attract the private tenants. The "VA-tech" center is perhaps more hype than reality. I do think employees would prefer a "city" and "campus" -- see zappos -- and access to transit. However, I don't really think the NAS has done much for building new jobs. Artishpere needs to be placed in the context of the Monday owned Rosslyn BID. Both it as the CC BID are very very aggressive. We would not have CABI without them. That being said, I don't' know if Rosslyn is going to turn around as a commercial destination.